Are you looking for a step by step fashion drawing tutorial on how to draw a female figure? Then you are in the right place. 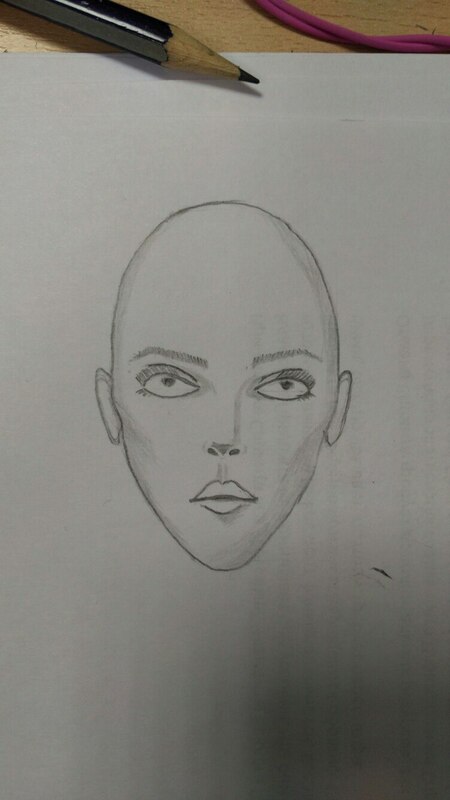 In this class, you will learn how to draw female faces of different origins: Caucasian, Asian and Black. Moreover, you will understand how to render different skin tones with a couple of markers. It is a must-watch video for absolute beginners in fashion drawing. It also has some useful tips for those who’s been drawing fashion illustrations for a while. I am sure, you’ll love this video with a focus on facial features such as lips, eyes, eyebrows, nose, etc. Once you master head drawing, you can move to the next tutorial on body drawing. I will appreciate any feedback, suggestions, and criticism. Yes! Even though I am a sensitive cheesy 燎 cry-baby. Here are the tools that I usually use. Yet, you can go through the class and try to match your own ones. E.g. pencils of similar colours can work as good as markers. Watercolors too! Important is that all those tools should be of descent quality. Below are all skin tones. You’ll be fine working with only one of them. I mix several colors sometimes but that’s not necessary to get a beautiful and smooth skin tone. You can check this article to learn more about the tools that I use for the illustrations. First, you will need to draw a framework of 3cm x 5cm dimension as shown below. It is a bigger version of a smaller head that we are going to draw later. For now, we need to practice. For my sketches, I use a 1.5×2.5 cm rectangle. It is the same 3 to 5 relationship of width and length. Look at the image below. In the same way divide the rectangle by two both vertically and horizontally. Then divide the lower part into 3 equal sections. Now follow the instructions in the image below. EXERCISE: Draw 3 rectangular frameworks and make face drawings on them. Share your best results in the comment section below. • The outer corner of an eye is higher than the inner corner. • Hide 1/3 of an eye under an upper eyelid. • Draw an iris (circle) so its bottom touches the lower eyelid. Take a look at these three shapes of eyes. They correspond to three stereotypical female faces: white, Asian and black ones. 1. For the first eye, you draw a diagonal line from the inner corner to the center. Then you connect the center with the outer corner using a curve. Next, you drop a diagonal line down (shorter than previous one). And then you close the shape with a straight horizontal line. 2. The second eye needs only one curve to connect inner and outer corners of the eye. The bottom of the eye is the same. Omit the eyelid. 3. The third eye is wider. The shape of it resembles a parallelogram. Remember to round the corners so the eye looks natural. Draw the eyelid following the shape of the eye. Of course, these three models are just examples. So you can play with facial features and different skin tones and draw the endless amount of different faces. Don’t miss this article that shows how size, shape and even location of eyes can affect the mood and style of a fashion sketch. Besides that, you can learn to draw a head in a different position (3/4, profile, etc.) 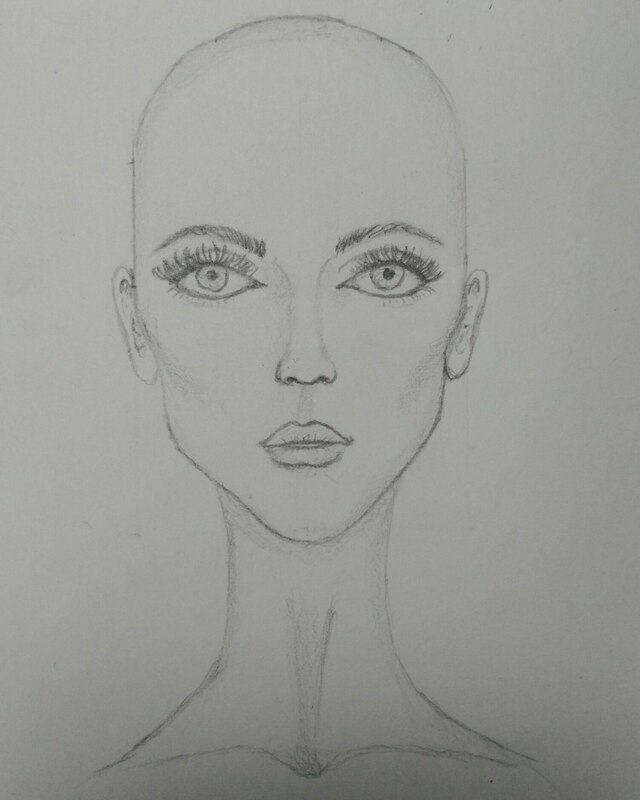 check this FSketcher tutorial – DRAWING THE HEAD IN DIFFERENT ANGLES. Hi Aliya. Thanks for these tutorials you share in greate details. I don’t have any drawing experience and just before one week I started watching your videos. I wish to become a fashion designer, I’m 33 years old. Don’t you think it’s too late to start learning fashion design in this age? That looks beautiful ? Love the coloring! I would make her chin a bit shorter. But it is up to your style ? So beautiful work! Thank you for lesson. What kind of colored pencils is better to use with markers?